For more than three decades, Scribendi magazine has showcased the creative work of undergraduate students from around the United States. Housed at The University of New Mexico, Scribendi starts with a class that teaches the process of literary publication alongside developing technologies, and culminates with an annual printed, bound collection of curated pieces culled from hundreds of student submissions. This fall, in order to expand the education and opportunities for Scribendi editors and staff at UNM, Scribendi is in the process of becoming an Adobe Ambassador to the UNM campus. In order to qualify as Adobe Ambassadors, Scribendi editors and staff will hold two workshops per semester on how to use Adobe software, participate in tabling events to distribute flyers and information, and actively promote Adobe alongside the Scribendi magazine, which is made using Adobe software. 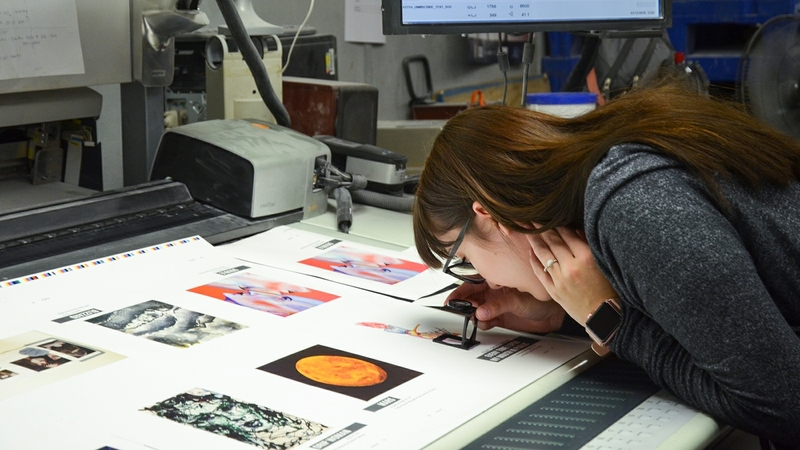 By meeting these requirements, Scribendi staff members will receive benefits that help with production of the magazine and with individual pursuits. One of the most significant benefits is the gift of five annual subscriptions to Creative Cloud software, which can be distributed in various ways. Two of the subscriptions will likely go to the editors of Scribendi, who currently have to pay a monthly fee for the software. Other perks of being an Adobe Ambassador include a $750 stipend, Adobe swag, access to internship opportunities (limited to partnered groups) and letters of recommendation. Beyond the Scribendi staff, all UNM students will benefit from the opportunity to gain Adobe software skills. Through the workshops offered by Scribendi, students will have the chance to learn how to do myriad things, from designing a resume template in InDesign to creating their own snapchat filter. Managing editor Hyunju Blemel says the possibilities for expanding the reach of the Adobe Ambassador benefits are broad.